Please note: This event is for invited researchers only. In the context of work, one of the most important lay theories that people develop concerns the meaning of their employment relationship. A psychological employment contract is an employee’s set of beliefs about the unwritten promises and obligations implicit in his or her relationship with an employing organization. Some employees’ psychological contracts are transactional – based on an instrumental exchange of economic currency, whereby the employee contributes time and skills toward a narrow set of responsibilities in exchange for pay and short-term guarantees of employment. Other employees construe their employment relationship as more personalized, such that their psychological contracts center on personal growth, and incorporate socioemotional currency. Drawing from theories of psychological contract and emotional labor, I propose that psychological contract as lay theories held by employees has important implications for how they manage their emotions at work. I will present some empirical data supporting this idea, and discuss the practical and theoretical implications. 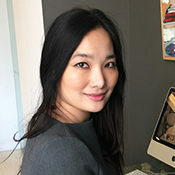 Julia Lee is an Assistant Professor of Management and Organizations at the Ross School of Business, and studies the psychology of narratives, lay theories, and morality. She received her PhD in Public Policy at Harvard University in 2015, where she was trained in organizational behavior, psychology, and behavioral economics. She is a core faculty member of the Center for Positive Organizations. Research is the heart of Positive Organizational Scholarship (POS), and we want to make sure that we support each other in developing high quality research. To that end, we created the Adderley Positive Research Incubator for sharing and encouraging POS-related research ideas that are at various stages of development. Learn more about the Adderley Positive Research Incubator here and direct questions about individual sessions to Amy Young at baldwin@umich.edu.